Do you get angry? Are you the victim of someone’s anger? Feel free to come learn about anger—your own, or to try to better understand an angry person in your life. You will receive a packet of information on anger, as well as resources for victims of domestic violence. Come by yourself, or with a friend or significant other. Workshop will be on February 2, from 11:00-1:30. (Santa FeBusiness Park in Torrance, CA ). For further information, visit www.AngerDefanger.com or call Sheila Hatcher, MA, Connections Counseling Center, at 310-913-1868. Licensed Marriage and Family Therapist. I’m happy to announce a time-limited offering of my book on anger at no cost. Visit www.Langmarc.com. Under “News” click the link to my book, and then click the Amazon Kindle icon. Free to everyone on December 7 and 8, and free to Amazon Prime members as a lending book for the next 90 days! Workshop will be on September 29, from 11:00-1:30. (Santa Fe Business Park in Torrance, CA). For further information, visit www.AngerDefanger.com or call Sheila Hatcher, MA,ConnectionsCounselingCenter, at 310-913-1868. Licensed Marriage and Family Therapist. Free Workshop on Saturday, April 28. Harmony Work s is throwing the author, Sheila Hatcher, a book launch party. You’re invited! If you’re not sure—please come—no RSVP required. 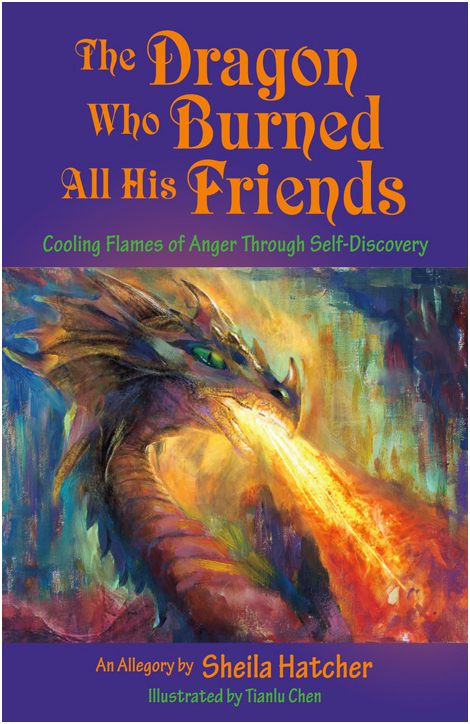 “The Dragon Who Burned All His Friends”–book now available! I’m pleased to announce that my book “The Dragon Who Burned All His Friends: Cooling the Flames of Anger through Self-Discovery” is now available. What’s a fire-breathing dragon to do when he can’t control his flame? This book is an engaging story that answers this question while addressing ways readers can get their needs met without resorting to destructive anger. It provides an enjoyable and easy-to-understand way to learn anger management techniques. This book has been selected for the Spirited Woman Top 12 Pick list. Please visit my online shop and check it out!